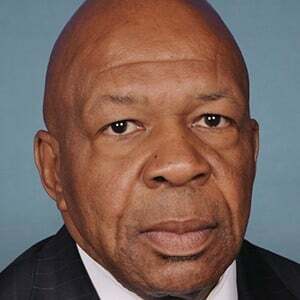 U.S. Democratic politician who is known for being the House Oversight and Reform Committee Chair as a representative for Maryland's 7th congressional district. He gained further attention as a voice in congress seeking 10 years of Donald Trump 's Financial Records. After attending Baltimore City College, he went to Howard University where he earned his BA in Political Science. He then went on to attend the University of Maryland School of Law where he earned his JD in 1976. After practicing law for several years, he was first elected to the house during the 1996 elections. He is also known for writing a biweekly column for the Baltimore Afro-American newspaper. He was born and raised in Baltimore, Maryland and married Maya Rockeymoore in 2008. Together they have three children. He is known for having introduced the Presidential and Federal Records Act Amendments of 2014 which was a bipartisan bill signed into law by then-serving President Barack Obama in December of 2014.